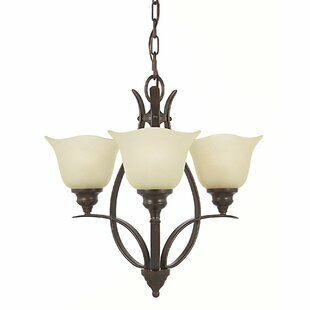 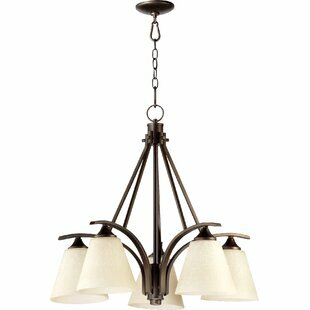 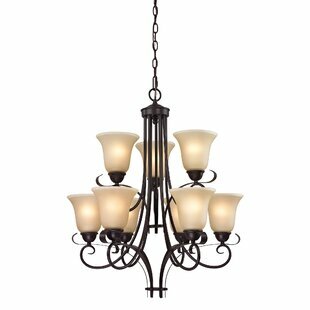 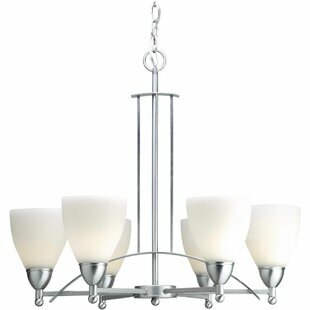 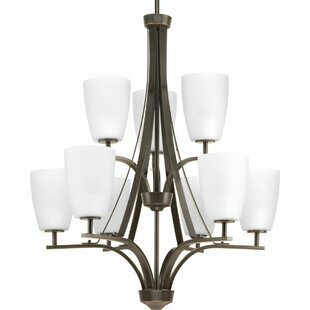 This chandelier features sweeping arcs that frame tapered etched shades. 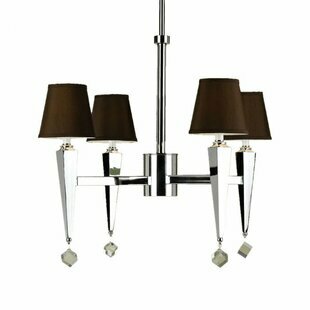 The glass shades are slightly larger in scale to complement contemporary design trends. 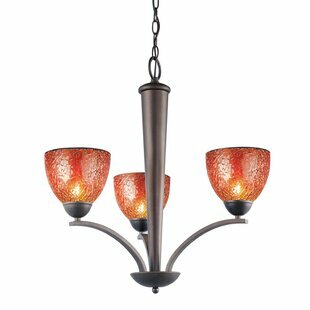 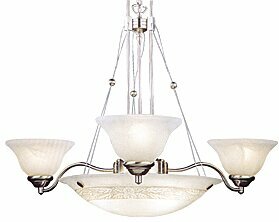 Number of Lights: 9 Fixture Design: Shaded Chandelier Adjustable Hanging Length: Yes Fixture: 37 H x 26.38 W x 26.38 D Overall Weight: 26.47lb.